We are a supportive community network. A cultural center. A social enterprise workplace. 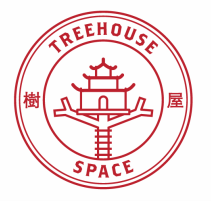 Treehouse space offers a unique environment for entrepreneurs, consultants, creatives, and global citizens to connect, be inspired, and have an opportunity to learn from one another to change the world for the better. We also open our doors to underprivileged youth in the area as a free space to come and use our computers, get online, do their homework, and learn to coding and computer skills so they can have better opportunities as they get older.